United Parcel Service (Atlanta and Louisville) and TNT Express (Hoofddorp, Netherlands) have reached an agreement for UPS to acquire TNT for an all-cash public offer of €9.50 per ordinary TNT Express share. “The offer price of €9.50 (including any dividend or other distribution other than the financial year 2011 final dividend payment not exceeding €0.004 per share) represents a 53.7% premium to TNT Express’ unaffected share price on February 16, 2012 of €6.18, the day before TNT Express and UPS announced their ongoing discussions. The Offer values the issued and outstanding share capital of TNT Express at €5.16 billion ($6.77 billion). The combination of UPS and TNT Express will create a global leader in the logistics industry, with annual revenues of more than €45 billion ($60 billion) and will deliver significant benefits for the shareowners, customers, employees and other stakeholders of both companies. The proposed transaction will accelerate UPS’s growth strategy and increase its geographic diversity and ability to provide customers comprehensive solutions. UPS currently estimates annual run-rate pre-tax cost synergies of approximately €400 to €550 million ($525 to $725 million) a year, achieved by the end of the fourth year after closing. UPS believes that the cumulative pre-tax implementation costs related to achieving these synergies will be approximately €1 billion ($1.31 billion) over the four-year integration period. The Offer values 100% of the issued and outstanding share capital at €5.16 billion. UPS intends to finance the Offer by utilizing $3 billion in existing cash on balance sheet and through new debt arrangements. UPS will make a timely certain funds announcement as required by Section 7 Paragraph 4 of the Decree on Public Takeover Bids (Besluit Openbare Biedingen Wft). 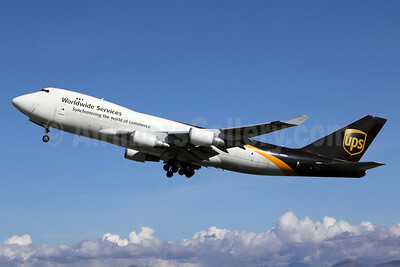 UPS has a strong financial position and remains committed to maintaining a strong balance sheet. On termination of the Merger Protocol because of the competition offer condition not being satisfied or waived, UPS will forfeit a termination fee to TNT Express equal to €200 million. On termination of the Merger Protocol on account of a competing offer, TNT Express will forfeit a termination fee to UPS equal to €50 million. TNT Express (NYSE Euronext: TNTE) is one of the world’s largest express delivery companies. On a daily basis, TNT Express delivers close to 1 million consignments ranging from documents and parcels to palletized freight. The company operates road and air transportation networks in Europe, the Middle East and Africa, Asia-Pacific and the Americas. It employs 77,000 people and runs a fleet of 30,000 road vehicles and 46 aircraft. 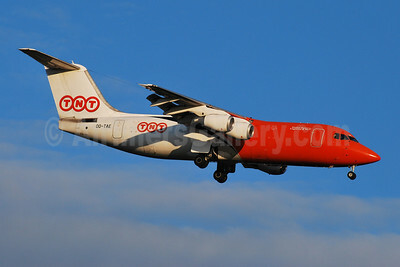 TNT Express had revenues of €7.25 billion ($9.51 billion) in 2011. This entry was posted in TNT Airways, TNT Express, TNT Global Express, UPS Airlines, UPS-United Parcel Service and tagged TNT Airways, TNT Express, TNT Global Express, UPS Airlines, UPS-United Parcel Service on March 19, 2012 by Bruce Drum.